Every summer, Portland hosts MusicFest NW which is, believe it or not a big music festival. This year the festival got bigger and the MBAs took over. 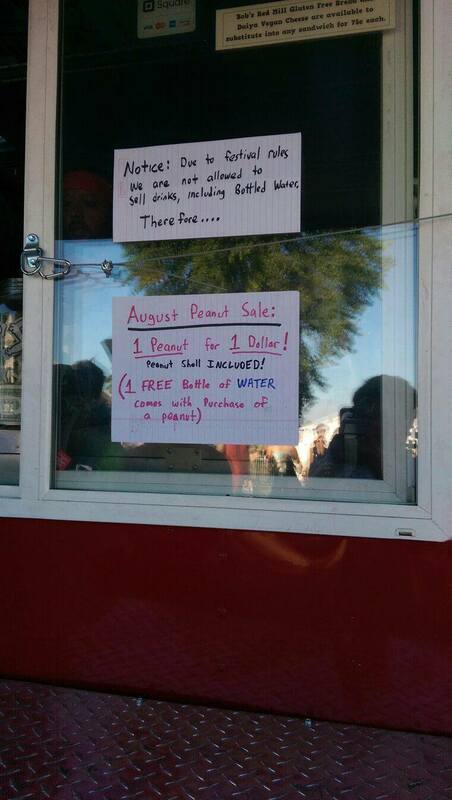 They decided that the best way to extract dollars from concert goers was to forbid food vendors from selling water. That’s right … Citing safety reasons (naturally), concert goers could not bring in their own water. Even worse, a vendor couldn’t sell you a Coke to go with your hot dog. The only place they could buy water was by waiting in the long beer lines, and shelling out $2 for a little bottle of water. But, the problem was solved by a $1 peanut. And, it’s a lesson for businesses and policymakers—no matter how clever you think your policies are, someone else thinks they’re stupid and will work to get around them.